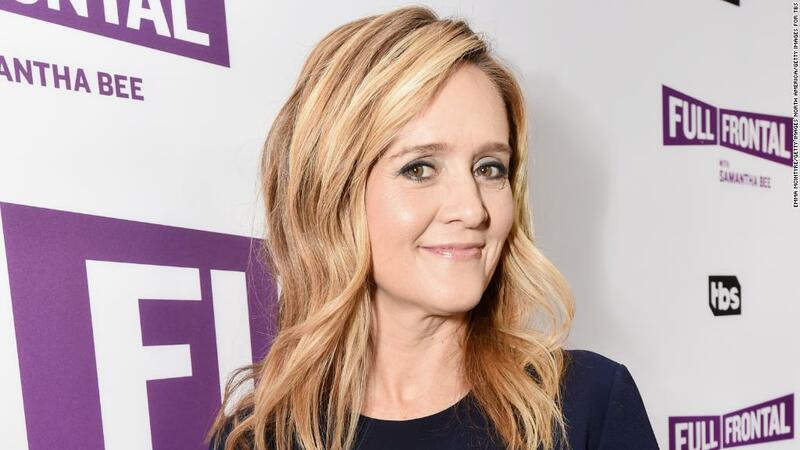 Samantha Bee apologized for her vulgar comment about Ivanka Trump, but she has more to say about the controversy it sparked. A TBS spokesman confirmed on Sunday that Bee will address the subject when her show, "Full Frontal," returns on Wednesday. The spokesman had no further details to share. But other sources with knowledge of the matter said Bee and her producers are working on an in-depth response that will lead Wednesday's episode. TBS and CNN are both owned by Turner, a subsidiary of Time Warner. Bee and the producers started brainstorming about what to say on Thursday, the same day she publicly apologized. "I would like to sincerely apologize to Ivanka Trump and to my viewers for using an expletive on my show to describe her last night. It was inappropriate and inexcusable. I crossed a line, and I deeply regret it," Bee said in a statement Thursday. Bee had gone after Trump for failing to take action to stop the separation of undocumented families. "Ivanka Trump, who works at the White House, chose to post the second most oblivious tweet we've seen this week," Bee said on her show, "Full Frontal." "You know, Ivanka, that's a beautiful photo of you and your child, but let me just say, one mother to another, do something about your dad's immigration practices, you feckless c***!" Bee added that the president listens this his daughter and said that she should "Put on something tight and low-cut and tell your father to f***ing stop it. Tell him it was an Obama thing and see how it goes, OK?" Bee's network added in a statement of its own that the host took "the right action in apologizing for the vile and inappropriate language." "Those words should not have been aired," TBS said. "It was our mistake too, and we regret it." The clip of Bee making the remark has since been pulled from YouTube and Twitter. Bee's comments caused outrage online and drew condemnation from White House Press Secretary Sarah Sanders, who said Bee's language was "vile and vicious." "The collective silence by the left and its media allies is appalling," Sanders said. "Her disgusting comments and show are not fit for broadcast, and executives at Time Warner and TBS must demonstrate that such explicit profanity about female members of this administration will not be condoned on its network." Bee's language came just days after Roseanne Barr's hit sitcom "Roseanne" was canceled after she made racist comments about former Obama adviser Valerie Jarrett. It's not the first time she'll speak about the comments. Bee talked about the remarks and the backlash at the Television Academy Honors awards. "Every week I strive to show the world as I see it, unfiltered. Sometimes I should probably have a filter. I accept that," Bee said in a speech Thursday night while accepting a Television Academy Honors award, according to a report from IndieWire. "I take it seriously when I get it right and I do take responsibility when I get it wrong."